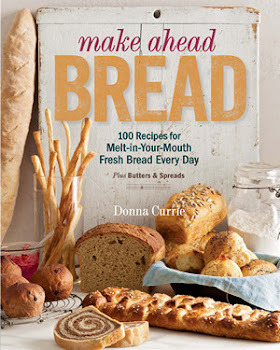 So, with this Cook My Book group that I belong to, we pass cookbooks around, trying recipes, scribbling in them, and posting results in our Facebook group. We're not required to cook recipes from any particular book, but it would make no sense to just pass them around and read them. So we all cook stuff. I try really hard to cook at least two recipes, and I cook more when I have time and when I particularly love the book. Sometimes I only manage one. Sometimes I cook a lot. Sometimes I only cook one or two, and I copy a bunch of recipes and I cook them after the book has moved on to its next home. Most of them are good, but let's face it, not every recipe is one that I want to make again. Sometimes a recipe is good, but I already make a recipe that I like. Others, I know I want to make them over and over again. Some recipes are good enough to make again, but I still don't blog about them. I have to like the recipe AND the photos. 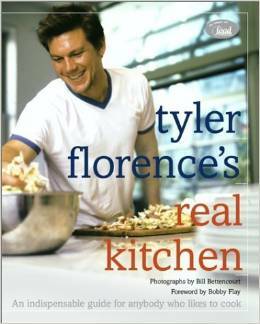 When I got my paws on Tyler Florence's Real Kitchen , there were two recipes that I was awfully fond of. The first was chilled asparagus with a citrus vinaigrette. I love cold asparagus, but I usually go with simple squeeze of lemon or drizzle of balsamic vinegar, and a little drizzle of oil. But when I tried the vinaigrette, I loved it. Not only on the asparagus, but it made a create drizzle on other vegetables and on green salad. The asparagus is basic chilled asparagus. If you've cooked it before, you probably don't need instructions. But the vinaigrette is really great. Give it a try. I skipped the mint, because I didn't want to buy it just for a garnish. Bring a pot of lightly called water to a boil and till a large bowl with ice water. Trim the woody ends off the asparagus spears. Blanch the asparagus in the boiling water for 3 minutes (or until they're done to your liking). Dump the asparagus into the ice water to stop them from cooking any further. This also keeps the bight green color. The second recipe I loved from this book was a ricotta tart. Next time I make this, I think I'll cut back on the garlic, or possibly eliminate it and add some herbs instead. Or perhaps a layer of caramelized onion. For the tomato salad, I used the same ingredients, but cut the tomatoes into slightly larger wedges. Instead of putting the tart on top of the tomatoes, which would have been wobbly and probably would have made it harder to eat, I served the tomatoes on the side. If you're not in the mood for making a ricotta tart, the tomato salad is great on its own. (you can bake them with the tart shell). The garlic should be soft. Pulse the flour. salt, and sugar together in a food processor fitted with the metal blade. Add the butter and pulse until the dough resembles cornmeal. Add the egg yolk and the ice water: pulse again to pull the dough together. Flour your work surface and turn out the dough. Knead VERY briefly by hand, then form the dough into a ball. Wrap the dough in plastic and let it rest and chili in the refrigerator for 30 minutes or overnight. .
Preheat the oven to 350 degrees. Prick the bottom of the tart with a fork. Lay a piece of aluminum foil on the the bottom of the tart shell and add about 1 cup of dried beans, or use pie weights. Bake for 30 minutes, then lift out the foil and beans and bake for another 10 minutes. or until the pastry is lightly golden. Beat the egg white with 1 tablespoon of water and use this to brush the bottom and sides of the pastry. Squeeze the roasted garlic cloves out of their skins into a large bowl. Beat in the eggs and the cheeses, along with salt and pepper to taste. Place the tart shell on a cookie sheet and pour the egg mixture into the shell, filling it three-quarters of the way. Carefully transfer to the oven and bake for 3o minutes The tart should still jiggle slightly In the center; it will set up as it cools. Mix the tomato slices with the olives, basil, and orange zest. Drizzle with a 2-count of oil: season with salt and pepper and gently mix.